The following systems are already available in your organization. Download and copy desired applications such as Office 2013, Adobe Reader into a folder named “Staging Folder” in E: drive of WDS Server. Download Office 2013 Administrative Template and copy the content into x86 and x64 folders of office 2013. On the Product Key Management Page, Type the KMS Product Key. KMS Key is available in Microsoft volume licensing web site. Log on the volume licensing site or contact Microsoft reseller/partner to obtain KMS Key. Click Next to continue. Follow the screen to finish volume activation of Windows 8. Check all the boxes as shown below, Click Next, Click Next, Click Finish. Type setup.exe, Click Next, Click Next, Click Finish. Now expand Applications, Right Click on Office 2013, Click Property, Click Office Products Tab, Click Office Customization Tool, From Office Customization Tools, Provide Office CD Key, Suppress display, configure outlook profile. Click File, Click Save, Save the file into E:DeploymentShareApplicationsMicrosoft Office 2013Updatecustom.msp locations. 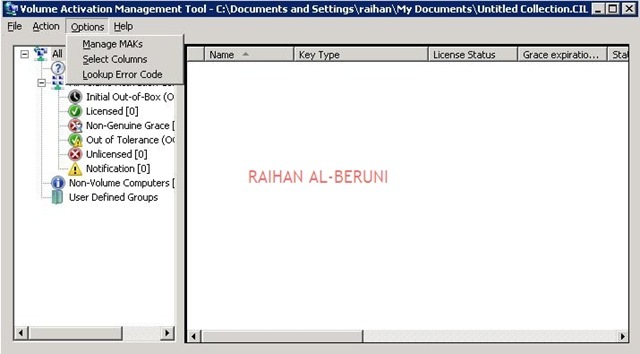 Close Office Customization tools, Click Apply, Click Ok.
On the Source Page, Select the Source Directory of Windows 8 Enterprise, Click Next, Click Next, Click Finish. Right Click Out-of_box Drivers, Click Import Drivers, Select the source of drivers, Click Next, Click Finish. Right Click on MDT Deployment Share, Click Update Deployment Share, Click Next, Click Finish. Select Lite TouchPE_X64.wim image from E:DeploymentShareBoot, Click Next, Click Finish. Click Run the Deployment Wizard. Once the process complete, unattended.xml will be opened using Windows AIK, Now modify the Edit Unattend.xml file, provide domain details, Click File, Click Save as, Save the file as Win8EntUnattend.xml into E:RemoteInstallWdsClientUnattend folder. Open WDS Server Console, Right Install Image, Click Install new Image, Select the image you captured using lite touch from E:DeploymentShareCapturesWin8Ent.wim file. Click Next, Click Finish. Right Click on Win8Ent Image, Click Property, Check Allow image to install unattend mode, browse and select the file win8entunattend.xml from E:RemoteInstallWdsClientUnattend folder. Click Apply, Click Ok.
Step13: Deploy the Image to Target Computer. Open WDS Server, Click Boot Image, Click Add Boot Image, Browse Windows 8 Ent DVD, Select Boot.wim file from Sources folder, Click Next, Type the name of the image as Deploy Image (x64), Click Next, Click Finish. Boot a target computer using F12, Select Deploy Image X64, Press Enter, Select Windows 8 Ent Image, Follow the screen. Now Lite Touch Deployment is completed successfully. What is Microsoft product activation? Activation is a method of verification that Microsoft Windows Product you have bought is genuine and comply with copyright laws i.e. it checks that you are not using a counterfeit product. Simply Microsoft wants to know did you pay right amount of $$ for the product you are using. Volume Activation is used for enterprise level users who want to deploy Microsoft products such as Windows 7 and Windows Server 2008 in large scale in an organisation or a company. There are two type of Volume Activation—Key Management Service (KMS) and Multiple Activation Key (MAK)—that allow Volume Licensing customers to activate Volume License editions of the Windows 7 and Windows Server 2008 R2. When planning to use Volume Activation, an organization must choose KMS, MAK, or any combination of the two. The activation methods chosen depend on the needs of the organization and the network infrastructure. 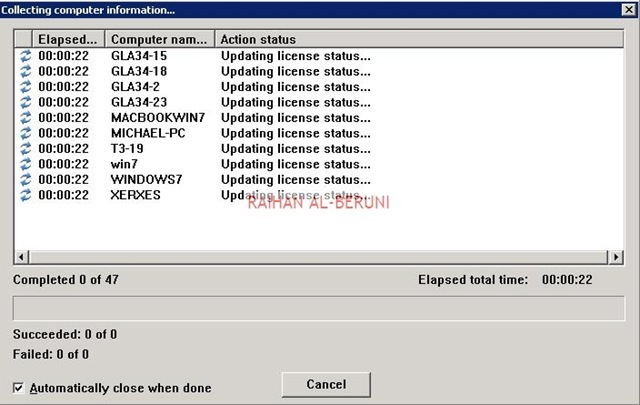 You don’t need to be a local Administrator in Windows 7 and Windows Server 2008 R2 for activation. However, for volume activation you must be a domain admin because you need to access domain groups, computers and GPO. Windows eliminates the User Account Control (UAC) prompt during activation, enabling any user who has a standard user account to activate Windows on that computer. However, this change does not allow standard users to remove Windows from the activated state. You have to configure the following firewall in Windows 7 and Windows Server 2008 master pc before you deploy large scale using windows deployment services. 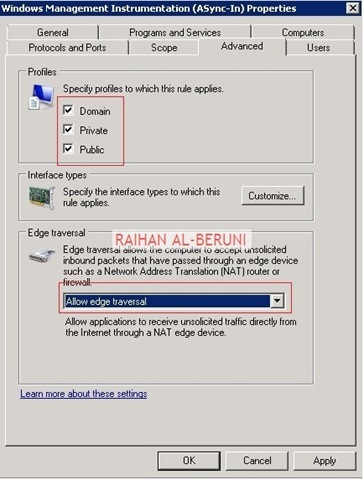 By default these firewall is blocked restraining windows 7 and windows server 2008 to communicate with activation site. Log on Windows 7 or Windows Sever 2008. 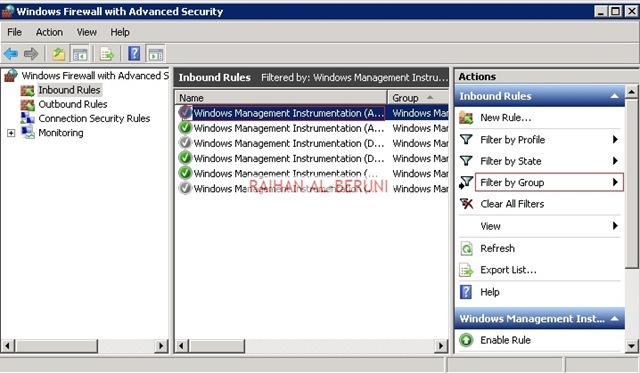 Control Panel>Windows Firewall and Advanced Settings>Allow Program or feature pass through Windows Firewall>Select Windows Management Instrumentation (WMI)>check domain, public and private>Click Ok.
Go back to Windows Firewall and click on Advanced Settings>Click Filter by Group>Click WMI>Select WMI Async-In>Double Click on WMI Async-In>General Tab>Check Enable and Allow>Advanced Tab>Check Public,Private,Domain>Select allow edge traversal>Apply>ok. Log on to domain controller as an domain admin. 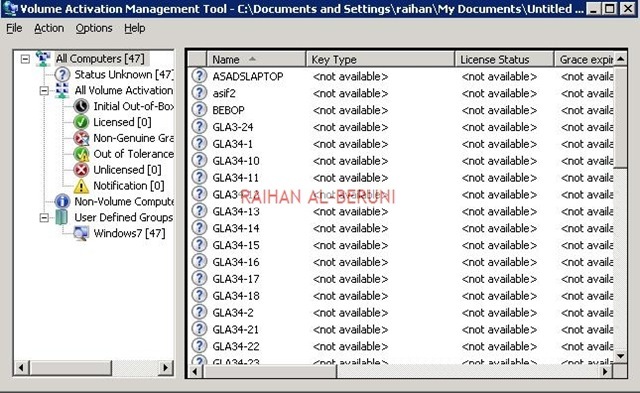 Open GPO management console from Admin Tools. Select Specific Windows 7 and Windows Sever 2008 organisational unit where you want to modify Windows Firewall. Right click on that organizational unit>click edit. 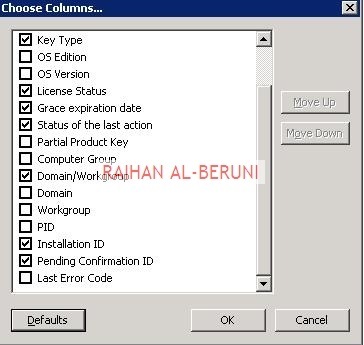 Go to Computer Configuration>Administrative Templates> Network>Network Connections>Windows Firewall>Domain Profile & Standard Profile>Select and Modify Windows Firewall: Allow remote administration exception>Select Enable and Type “*” in the box. Provide MAK Product Key and Validate. Click Add to add MAK. Select Appropriate Columns to view computer info. Click Action>Add Computer>Type Computer Group>Select domain>Check gather info>Click ok.
Now select all windows 7 computer>right click>MAK activate.